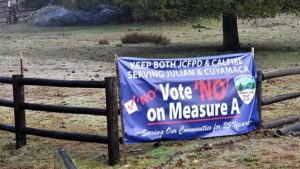 East County residents have until Tuesday to vote on a measure to dissolve the Julian-Cuyamaca Fire Protection District and merge with the County Fire Authority. Dueling Facebook groups are debating the issues. In a final pitch, Van Bibber offered arguments for keeping the current last-in-the-county volunteer fire department. “Our previous fire board erroneously believed, and was able to convince others. 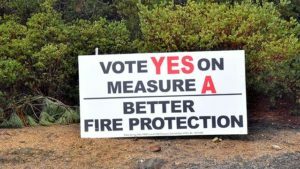 that our community-based fire department was financially insolvent, inadequately trained and ill equipped,” he wrote before offering counterarguments. 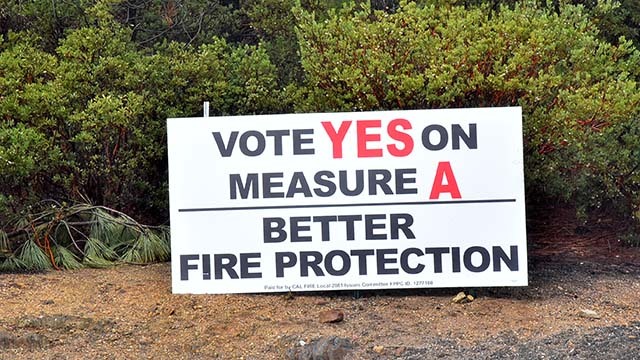 Should voters approve the measure, the county would serve the area with contracted assistance from Cal Fire. 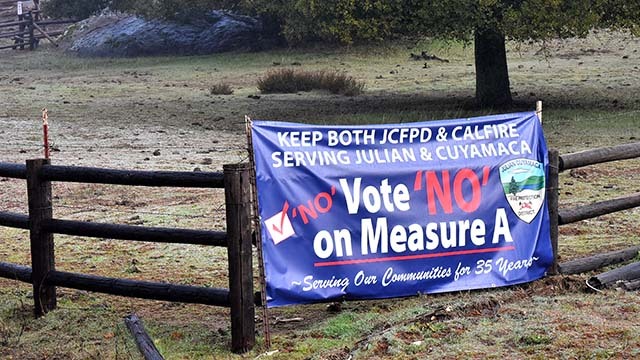 Cal Fire Local 2881, the organization’s union, currently backs the proposal, arguing that Cal Fire would only have an agreement to respond to wildfires with traffic accidents and medical calls falling to the wayside if it fails. The county Registrar of Voters sent out mail ballots for the election last month. For residents who did not receive a ballot by mail, they can vote Tuesday from 7 a.m. to 8 p.m. at the Registrar’s Office at 5600 Overland Ave.